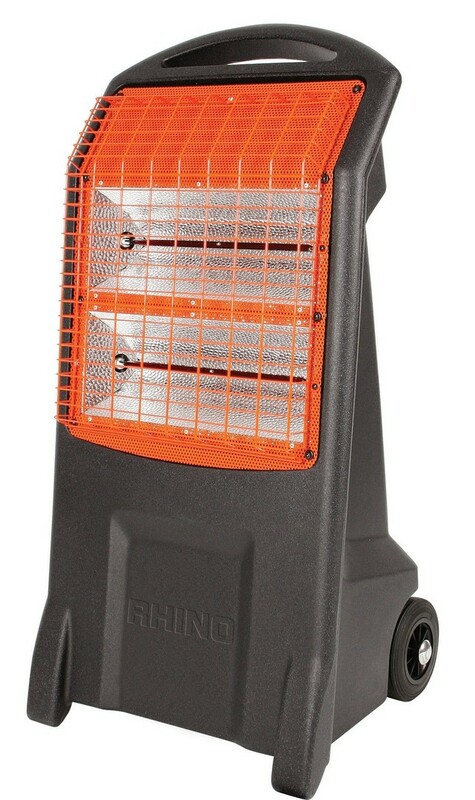 Rhino TQ3 portable infrared heater. Uses high frequency heat waves to warm objects and people rather than the atmosphere. This results in lower running costs because heat is not lost through drafts or pre-heating. Made of a robust construction, features include twin 1400W elements, 2 heat settings and wheels for portability. Ideal for temporary heating and drying paintwork, plaster etc.